A 22 year old woman has recently replaced her skull with a 3D printed plastic skull. This was one of a king surgery where the skull was replaced in a surgery that went for 23 hours. The woman has developed some abnormality of the skull where the skull was becoming thick than usual. Her cranium had become 5cm where in it should be normally 1.5cm in normal people. She would suffer from poor eyesight and severe headaches. Doctors had advised to replace her cranium with a plastic one. 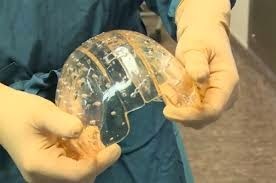 Initially the doctors decided to create handmade implants by using the acrylic polymer material which was not of perfect shape and size. The 3D printing made achieve the accurate and perfect size of the cranium. The hospital waited for three months to come to a conclusion if they should perform this surgery or not. The doctors made sure that everything was perfect and then announced the date of the surgery. The benefits of replacing the skull with the 3D printed skull are that it has higher recovery ratio compared to the normal skull. The 3D printing has a high cosmetic value and can be used to print different organs as per the demand. The woman now has gone back to her normal routine and there are no symptoms of the old disease. The hospital and the doctors are very positive about the new techniques they have implemented and are ready to use the same technique with other patients with bone problems or skull related diseases or injuries. There have been other hospitals who have replaced skulls but this is one of a kind where the entire cranium is replaced with the 3D printed plastic skull. This technique has now replaced the traditional methods of cranium replacement.